It’s time to focus on your future. Yet there is no escape from the complications of the headlines that shaped our world. 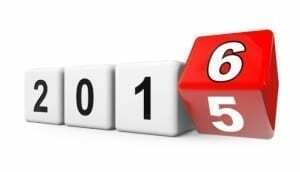 However, the negative actions of a few should not prevent us from to set a positive tone for the coming year. I hope for you, and yours, that your best day of 2015 is your worst day in 2016. Most of us, thankfully, work seemingly far removed from the tragic events unfolding in real time across the globe with alarming regularity. Each day it seemed I trembled when I learned of the terror created in Mali and Paris, the jetliner explosions over Egypt, and the unwarranted shootings in San Bernardino, Colorado Springs, Charleston and now my home town of Chicago. However it’s still important to keep everything in perspective, especially during this time of that that is deeply personal to many of us. We can’t let the actions of a few dictate the response of many. I take courage to continue, but that’s what really counts. To help you find the proper perspective and time to reflect on your 2016 resolutions take a few minutes to answer some of these questions. On the other hand, I spent a lot of money on________________________ and it was worth every cent.